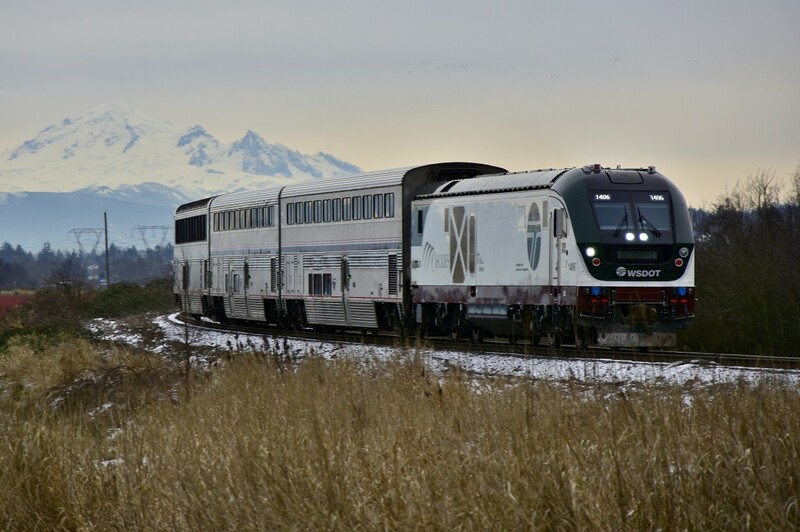 Railpictures.ca - Richard Hart Photo: A bleak morning at Colebrook junction as the Amtrak Cascades #510 approaches the signals. Power today is supplied by a recently delivered WSDOT “Charger” unit #1406. | Railpictures.ca – Canadian Railway Photography – photographie ferroviaire Canadienne. Caption: A bleak morning at Colebrook junction as the Amtrak Cascades #510 approaches the signals. Power today is supplied by a recently delivered WSDOT "Charger" unit #1406.